'Secure VPN'. 'Private VPN'. 'Anonymous VPN'. If you ask any expert about the major trends online, then these will be your answers. Right now, online security, privacy and anonymity are rather urgent themes, even for regular people who simply want to enjoy online surfing without any issues. Scandals about the improper use of private data by large companies, or news reports about large data leaks that put the passwords of thousands of people on the streets. The Internet has certainly not become any less dangerous in the recent years. And then we're not even mentioning how governments deal with your data, which agencies keep an eye on citizens with what means, and more, the list is endless. That is why computer users - and who doesn't use a computer in the Netherlands - increasingly arm themselves against online threats. And hence also that safe and anonymous VPN's are becoming increasingly popular. A VPN protects you against the worst of the web, and gives you all kinds of advantages as a bonus. To start with the latter: who does not like cheaper plane tickets or sports shoes? A VPN allows you to do anonymous shopping and pay local prices in online stores, whether you live in the region of that specific offer or not. This all has to do with how a VPN works. A VPN masks your internet connection and, as it were, creates a tunnel around your connection that no one can look into from outside. By masking (your signal is assigned a different, temporary and untraceable IP address), it is not clear to anyone what exactly that anonymous user is doing and who exactly is online at that moment. For example, travel agency computers only record that someone from the region wants to buy a flight ticket, not whether that person is actually in the region at the time of purchase, this means that all local discounts will apply! A second major advantage of using a VPN connection is of course that you are much safer online. A VPN works with encryption protocols that are hard to decipher, so hackers do not know what to do with your signal. That will save a lot of headaches while you're online banking for example. With a non-secure connection, the chance is a lot greater that third parties are trying to read what you are typing, with which they try to figure out your login and password. That VPN tunnel and that temporary IP address make it virtually impossible for third parties to figure out what your identity is when you are online. With a VPN what you're looking at is invisible to third parties, same goes for who you talk to online, mail with, and so on. How is this different from using your own IP address? Your own IP Address is directly linked to your location, which you can notice if you pay attention to the advertisements you get served when not using a VPN. Ever notice how often you get those 'exclusive discounts' exactly in the city where you're located at that moment through advertising banners on different websites? These personalized advertisements are possible because the advertiser's computers know exactly who you are and where you live (approximately). Your anonymity guarantees your online privacy. Whether you want to watch spicy movies, search online for information about illness' without worrying anyone, or if you desperately need to mail with your secret love. What you do online only affects you. How safe and anonymous is 5 Euro VPN? 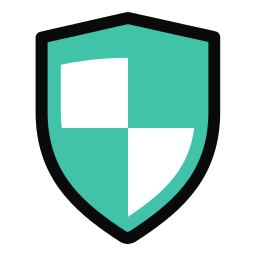 5 Euro VPN was created to offer people a safe and anonymous online environment. We therefore do our utmost to guarantee this safety and anonymity at all times.